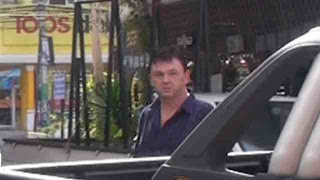 A Briton who ‘intruded’ into the bar of a convicted Scottish fraudster in Pattaya after finding out the man was not the officer and gentleman he claimed to be, has been found guilty of defamation and trespass by a Pattaya Court. Estate agent Andy Mathews ,49, from Wolverhampton, had lent Brian Goudie almost £10,000, and had just been told that Goudie was NOT formerly a Captain in the Royal Marines and a barrister. Mathews had even employed him as his own legal counsel in a previous case. When he found out, he reacted by going round to Goudie’s bar during opening time and causing a storm. Goudie had stopped repaying the interest free loan and Mathews was broke. When it came to court Mathews employed a recommended lawyer whom he said could not speak English, and whom he was to discover ignored his requests, and never answered his calls. Having paid,he had no cash to find another one. This story serves as a warning. Be careful if you are cheated in Thailand. You can easily end up as the defendant. Convicted Scottish fraudster Brian Goudie has claimed victory over a man, who claimed he owed the equivalent of £10,000, by pursuing him in the Pattaya Court and bringing charges of defamation and trespass against him. The case was taken by Goudie and, according to Goudie, the parent company Jimmi International, which owns the ‘Jaggy Thistle’ pub in Pattaya where the fracas occurred. 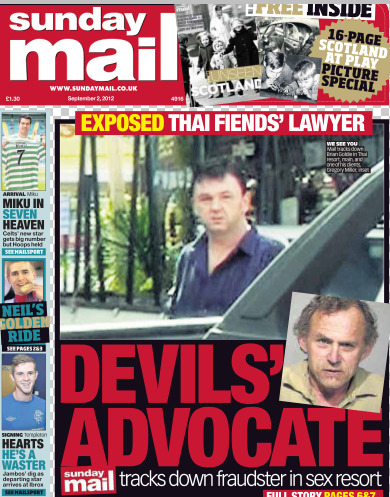 Jimmi International was formerly the property of Jimmy ‘Doc’ Halliday a notorious Ulster drugs dealer, who apparently signed over his power of attorney to Goudie on his death bed in the Bangkok-Pattaya Hospital last year. Halliday died of necrotising fasciitis, a flesh eating disease, acquired in Nong Plalai Prison, Banglamuang. Andy Mathews was a previous client of Goudie’s company Alba Laws. Mathews was sentenced to a total of 16 months in prison on two defamation and two trespass charges, Goudie proudly reports on his pseudo Legal Website Asia-Case-watchers. The sentences were however suspended. 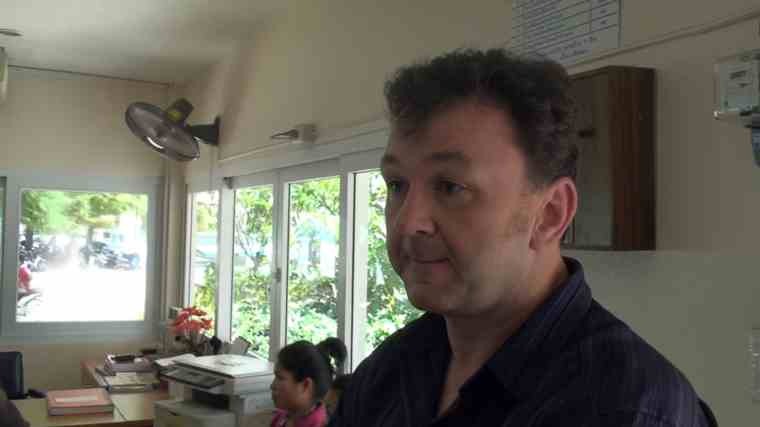 Mathews, from Wolverhampton, was further fined 6000 baht and ordered to do community service. 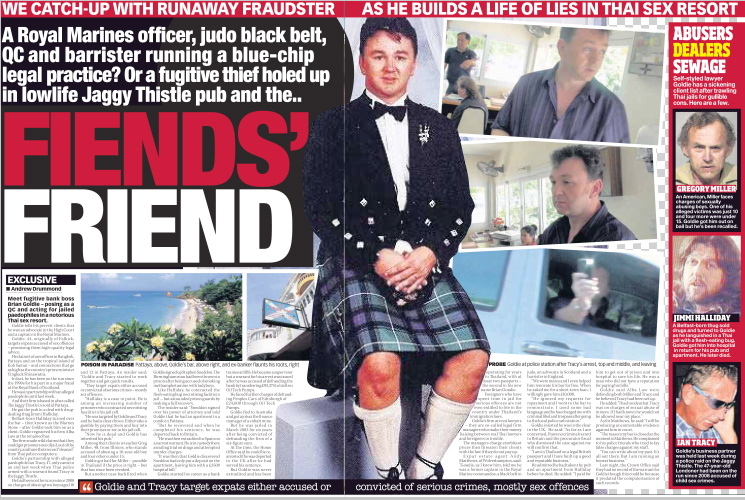 Andy Mathews said had gone to remonstrate at the Jaggy Thistle pub in Pattaya with Goudie and John Macdonald, a former Glasgow taxi driver, and Pattaya Police Volunteer, after discovering that Goudie was not a Royal Marine Commando Captain as he claimed, nor was he a barrister. He was concerned about his cash. 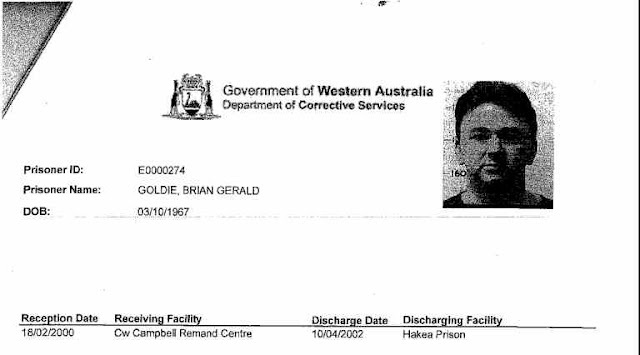 It is not clear from Goudie’s court report whether Mathews also knew Goudie, a former bank clerk and club bouncer had been jailed for three terms of 2 years imprisonment in Australia for fraud (under the name he was born with, Brian Gerald Goldie), and that an arrest warrant had issued by the Lothian and Borders Police in 1994, for fraud which he had avoided facing. “Unfortunately for Mathews the whole incident was caught on a mobile telephone camera, and CCTV, as Mathews moves in and out of the premises screaming at John McDonald and Brian Goudie. 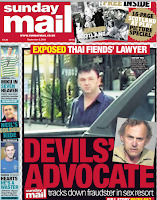 “The Court rejected Mathews defence that he had come to ‘talk’, and had made no threats, the gentleman in the red and black shirt is an off duty police officer, and the shorter person to the rear is clearly wearing a ‘man bag’ with a Royal Thai Police logo. “Mathews was asked to leave the premises many times, but refused to do so, and after first leaving the premises came back twenty minutes later with his ‘heavy team’ of three off duty police officers – a police report was taken at Dong Tan police station the same day, prior to the case being filed with the Court. “Myself and my colleagues and friends have been subjected to months of on-going abuse from this man, who seems to think that he can solve any problem with threats of violence and bullying tactics, and I am glad that the Court saw through his defence – it is very hard to deny this type of thing when you are caught on CCTV cameras shouting and screaming and threatening other people – in the end I believe the Court has come to a very balanced and reasoned decision. 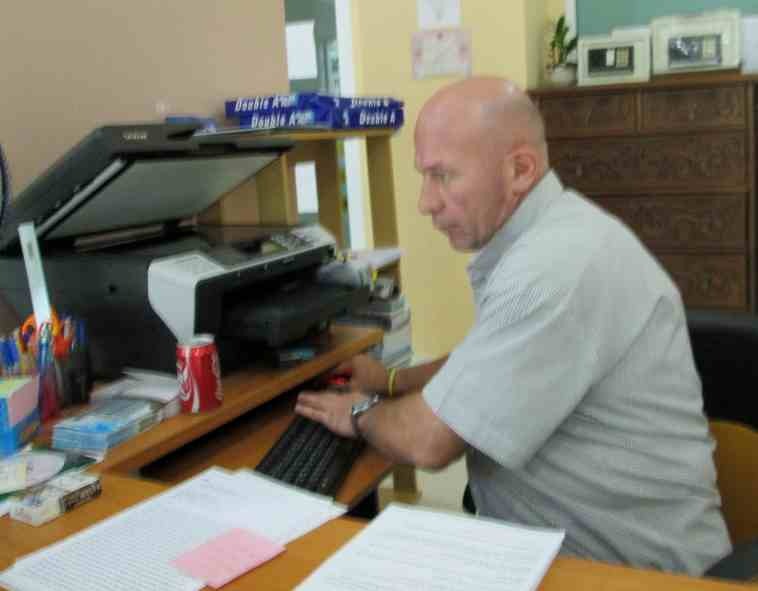 “Many foreigners when faced with police in Thailand are just too scared and end up giving in but we knew this was just an empty threat as the police were not in uniform and had no documentation – and left very quickly when local police became involved. “Even on the day he was sentenced Mathews has kept on sending SMS messages threatening us with what he is going to do, and we are now looking at the possibility of further charges in the very near future if it doesn’t stop. “Lawyers acting for the Plaintiffs are now reviewing the sentence and considering whether or not to lodge an appeal to Rayong Provincial Appeals Court on the basis that the sentence was ‘manifestly inadequate’ in light of Mathews multiple convictions. 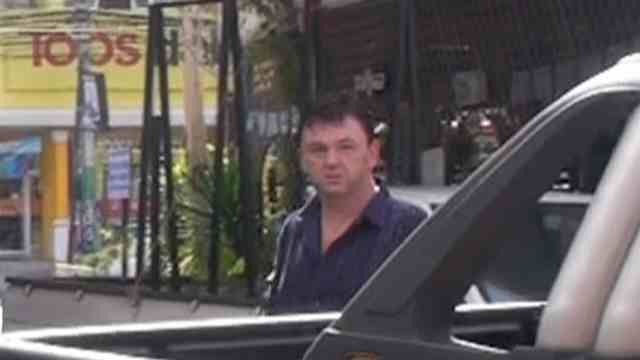 VIDEO: AN ANGRY ANDY MATHEWS REMONSTRATES WITH BRIAN GOUDIE AND JOHN MACDONALD, A FORMER PATTAYA POLICE VOLUNTEER. Apologies for the video: The cameraman did not know that tv screens and computers are now rectangular and the camera should be held horizontally. “My lawyer does not speak English and never answers my calls. Having paid him I could not afford to pay another lawyer. “Goudie was trying to get me into jail, because I had been convicted before, while he was supposedly representing me for punching a German developer who had swindled me. He hoped the court would impose a previous suspended sentence. “I never even saw Goudie in court. My lawyer was telling me to come one day, not to come another day. On the day Goudie was there I was not. 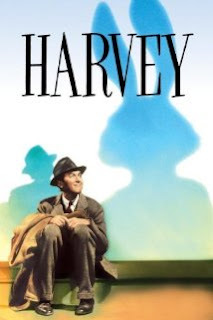 When I went he was never there. It was a farce. 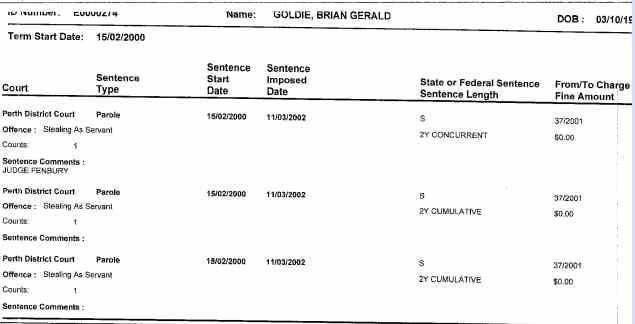 Footnote: Brian Goudie has been contributing to andrew-drummond-watch.blogspot site with Drew Noyes, but asia-case-watchers appears to be his own brainchild. Last week he sent ‘ news copy’ to newspapers in the UK using his ramidin@gmail account and linking to the case-watch site. The copy was spiked by all recipients. 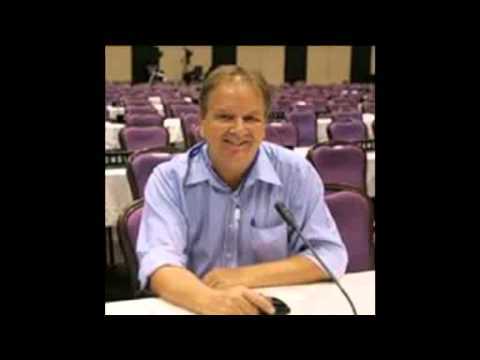 Andrew Drummond is not being sued in connection with Andy Mathews. 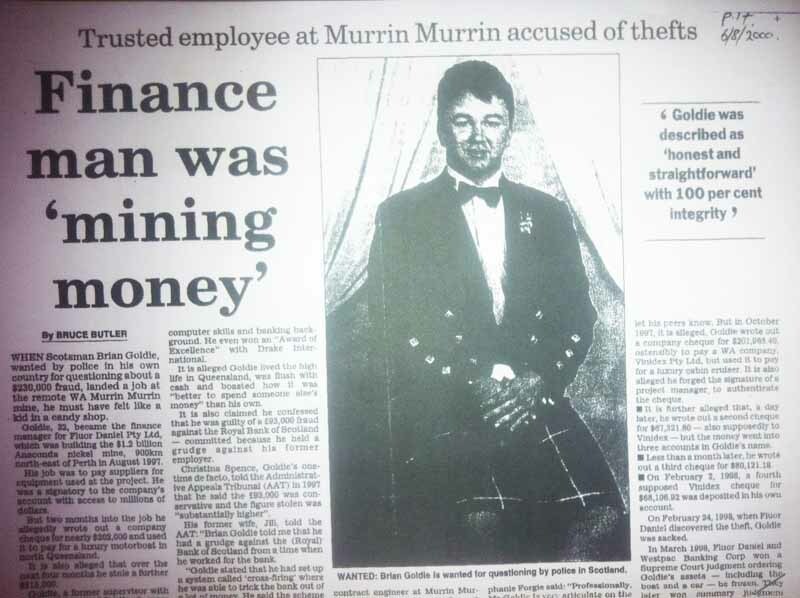 Libel and computer crime complaints have been made about the story below which was printed in Scotland. 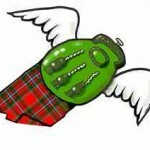 Goudie is not suing in Scotland. The cases have yet to be accepted in Thailand. In all reports on Goudie and Mathews nowhere has it been stated by the author that Mathew was ‘wrongly accused’ as Goudie writes. Even if the author thought that were true (which he does) journalistically he would not be able to say it without providing evidence and witnesses and taking on the case himself. But he does say say that Mathews was understandably furious and went to Goudie’s bar during opening hours to give him a piece of his mind and demand his cash back. 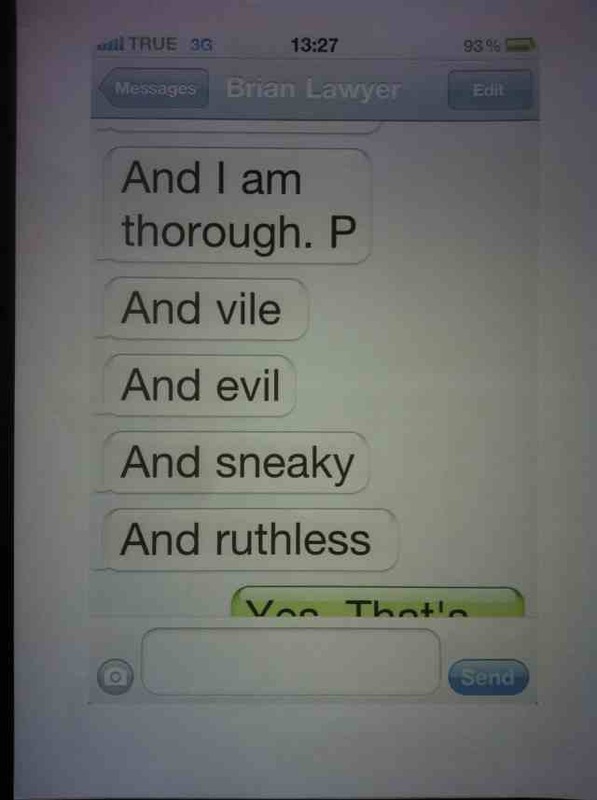 Mind you if anyone received an sms like this (right) froma former friend and former lawyer -he would be encouraged to think he was certainly not getting his money back. Mathews has however stated himself that he was wrongly accused. It has been pointed out that foreigners who believe they have been cheated in Thailand can and will be taken to court for defamation if they try and act without proper legal advice. A lot of criminals have cottoned on to these laws. The criminal libel laws have been used to send many a victim scurrying home. Its not just used against journalists. You may think its unfair but convicted criminals may know a lot more about the local legal system and how to deal with it than you. 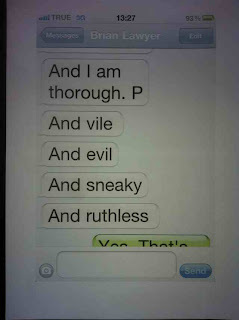 They can be evil, sneaky, ruthless, vile and thorough. Finally Goudie has not clarified who are the ‘we’ he is talking about. The only other plaintiff appears to be an inanimate object. For ‘we’ read “The Jaggie and I” or perhaps ‘Harvey and I’. 177.Having found that Mr Goldie is not of good character, I must consider whether the discretion should be exercised in his favour provided he met all other criteria. I have decided that the discretion should not be exercised. Mr Goldie has formed ties with an Australian citizen, Ms Finnis, but has no other particular personal ties with Australia…..If he returns to Scotland he will presumably have to face the outstanding charges but that is a matter which will have to run its course under Scottish law and is not a matter which should sway the exercise of the discretion in this case. Taking all these matters into account together with the findings I have already made, I have concluded that the discretion should not be exercised in his favour. Above – Why an Australian Appeals Tribunal Deputy Judge did not want Gaudie/Goldie in Australia – and this was BEFORE he was convicted of fraud there. Despite the ATT’s decision he managed to hang on long enough in Australia to avoid the Scottish charges. He did it by making a claim his wife assaulted him – and thus drew out a long court process. In short he knows how to play the courts. Then of course he was arrested and jailed for defrauding the mining company he worked for.